On Monday, November 7, 2016, the Wrap Up! Project will be having a fundraiser at the Iron Hill Brewery in Lancaster, PA from 11:30am-11pm. We would love to see you there! You download and print out the tickets. Come to Iron Hill Brewery on the 7th with your ticket. Iron Hill Brewery will donate 20 percent of your bill, excluding tip and alcohol, to WUP when you present the coupon. If you want tickets mailed to you, e-mail us at info@wraupproject.org, and we’ll get them to you! Give extra tickets to family and friends. Please be mindful and read the rules stated on the tickets. We are not allowed to hand out tickets at the restaurant that day. Coupons must be in hand BEFORE you get there. We’d love to see you there! Let us know if you are coming on the Facebook event page! First Tagging Party of the Season! WUP is going to be having the first tagging party of the season at Kegel’s Produce at 2851 Old Tree Dr, Lancaster, PA 17603 on September 30, 2016 from 7pm-9pm. What is a tagging party? Well, each item that WUP puts out gets a tag explaining why the item has been left our and and how to care for it. Here’s an example of one of our tags below. Due to the volume of items WUP gets, it’s very time consuming for one or two people to do, but, know the old saying “many hands make light work”? Yup, we need your help! Veggie and fruit trays will be provided as refreshments, but feel free to bring your own dish to share, as well. Oh, and bring your current knitting and/or crochet projects in to work on for a sit and stitch, too! Kegel’s would like us cleaned up and out of the building no later than 10pm, so that is all the later we should be in there working. If you can stay to help clean up, it would be greatly appreciated. For more information and to RSVP, please check out the event on Facebook. Did you see WUP in the news recently? Erin Negley wrote a great article for LancasterOnline featuring WUP, which also ran in the Monday, September 12, 2016 edition of the LNP newspaper. Angelia Reed was also interviewed by Sarah Veronis of Blue Ridge Cable News 11 yesterday about the upcoming season for WUP. You may have noticed some big changes around here! 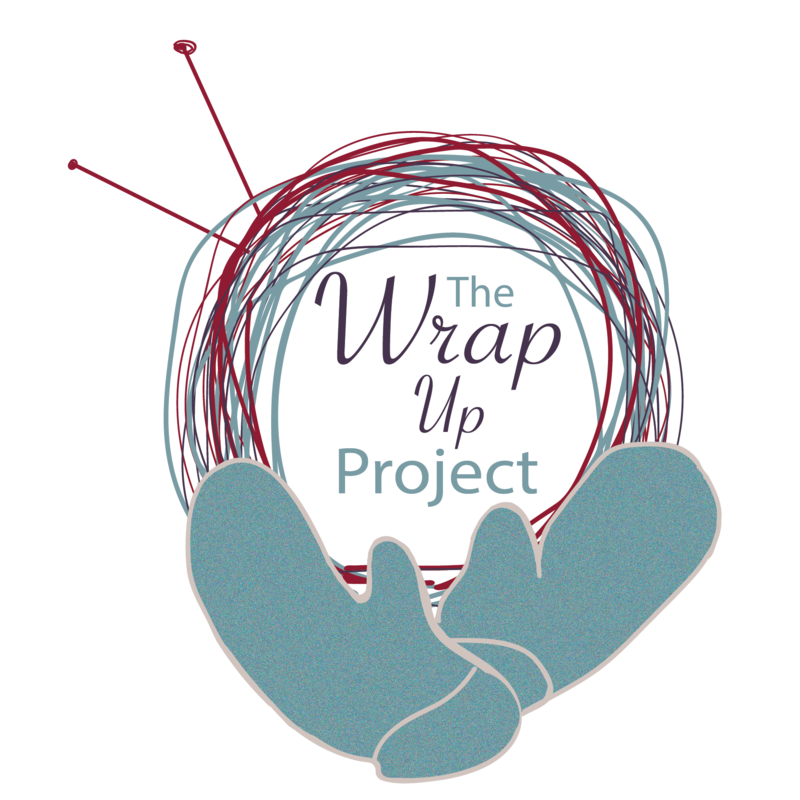 Due to our growing organization, we have changed the name of Wrap Up, Lancaster! to The Wrap Up! Project. Why, may ask? We’re glad you did! WUP has now grown outside Lancaster County, and we wanted a name that would encompass the different chapters, such as the Wrap Up! Project Capitol Region that will be starting this fall. We are excited that we’re growing! We would like to introduce Karen Zimmerman as our Fundraising Officer! Karen brings fundraising experience from working with her local fire company. We are still looking for a vice president and a scouting officer, so let us know if you’re interested! And speaking for more growing. We want to welcome Eleanor Grace Storms to the WUP family. Eleanor is the daughter of Bethany, one of the first WUP members and a planning committee member. Congratulations Bethany and Ben on the birth of your baby girl! Mother and child are doing well. Indeed! We need YOU! WUL is looking for a few volunteers to help as organizers and officers. There is already a committee in place, but if you want to help, and have the skills and talents that fit the job, we would love to hear from you! Serving on our planning committee is a also a great opportunity for those who want to contribute to WUL, but don’t knit, crochet, or do other crafts. Here are the volunteer positions we are looking to fill. Vice President: I know, the VEEP position has been very limited, but we have a purpose in mind for this position. We want our vice president to be in charge of GOALS. We would set our goals in our meetings. Fundraising Officer: Have a knack for raising money? Got some creative ideas to bring in an a flow of income? This is the position for you! The fundraising officer would organize fundraisers, obviously, for WUL so we can get supplies, pay for storage, tags, and other expenses that would come up. Scouting Officer: Know the area really well? Know of a need in places we may be missing? The scouting officer would find places that would be willing to take scarf donations to pick up, as well as find locations for us to scarf bomb, too. All three positions would be asked to join monthly Skype meetings on the first Monday of each month, starting in October and to keep on track with their respective duties. Interested? E-mail info@wrapuplancaster.org and let us know how you would like to help! We are looking forward to hearing from you soon! Amber Kane of Fabricated Ends, and an arts instructor associated with the PA Guild of Craftsmen, saw our call for scarves on the here on the blog and Facebook, and decided to do something about our need. She is having a scarf making party, and all items made during it will be donated to WUL! We thank you, Amber, for your thoughtfulness! Want to attend? Here are the details, as per her information on her e-mail list. You can also get info about the party on Facebook. If you are interested in attending, you can contact her on that post or via a message.